The legal significance of a “license” to the BUTTERNUT trademark has been in dispute for ten years now. I put “license” in quotes because while the document in question is called a license, it’s not your typical trademark license. So we have what is a very unusual trademark license agreement. Most trademark license agreements aren’t assignable, transferable or perpetual, and when you add in “exclusive” you get an agreement that looks much more like a transfer of all rights rather than a license. In 2004 defendant Interstate Bakeries filed for Chapter 11 bankruptcy. As part of its reorganization plan, it identified the license agreement as an executory contract that it was going to assume. The bankruptcy court held that the license was executory because both parties had material, outstanding obligations. LBB’s obligation included the duty to maintain the character and quality of the goods sold under the trademark, what all trademark lawyers recognize as a fundamental duty of a trademark licensee. Interstate Bakeries’ obligations included the typical duties of a trademark owner, like maintaining and defending the trademarks and refraining from using the marks itself in the territory. The district court and the 8th Circuit panel both agreed that the license agreement was executory, with a dissenting judge on the panel. The court of appeals decided to hear the case en banc. Applying these principles, the Asset Purchase Agreement and the License Agreement should be considered together as one contract. IBC and LBB entered into the Asset Purchase Agreement and the License Agreement contemporaneously on December 28, 1996. The Asset Purchase Agreement lists the license as an asset sold to LBB pursuant to the sale. It directs the parties to enter into the License Agreement “[u]pon the terms and subject to the conditions contained in [the Asset Purchase Agreement].” Both documents memorializing the agreements define the “Entire Agreement” as including both agreements. The Asset Purchase Agreement’s definition includes “the exhibits and schedules hereto,” and a model for the License Agreement is included as an exhibit to the Asset Purchase Agreement…. To treat the License Agreement as a separate agreement would run counter to the plain language of both the Asset Purchase Agreement and the License Agreement, which describe the two as one piece, and would ignore the valuable consideration paid for the license. 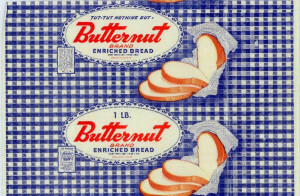 The essence of the agreement here was the sale of IBC’s Butternut bread and Sunbeam bread business operations in specific territories, not merely the licensing of IBC’s trademark. The agreement called for LBB to pay $20 million for IBC’s assets. The parties allocated $11.88 million for tangible assets, such as real property, machinery and equipment, computers and licensed computer software, vehicles, office equipment, and inventory. They allocated another $8.12 million toward intangible assets, including the license. IBC has transferred all of the tangible assets and inventory to LBB, executed the License Agreement, and received the full $20 million purchase price from LBB. IBC’s remaining obligations concern only one of the assets included in the sale—the license. They involve such matters as obligations of notice and forbearance with regard to the trademarks, obligations relating to maintenance and defense of the marks, and other infringement-related obligations. When considered in the context of the entire agreement, these remaining obligations are relatively minor and do not relate to the central purpose of the agreement to sell the Butternut and Sunbeam bread operations and assets to LBB in certain territories. Despite my discomfort with the concept that a trademark license is not categorically executory, I agree with this outcome. In the bankruptcy court there was testimony from the former GC of Interstate that Interstate’s intent was to sell the BUTTERNUT trademark to LBB within LBB’s territory. The vehicle of a trademark license was used because Interstate continued to own the trademark in other territories. So fundamentally, there shouldn’t have been a license at all, but instead a territorial division of ownership. Which is what the Court of Appeals for the 8th Circuit has effectively now accomplished. Lewis Bros. Bakeries Inc. v. Interstate Brands Corp., No. 11-1850 (8th Cir. June 6, 2014).